Vandalism from graffiti taggers is an ongoing problem for business owners in urban areas. It contributes to blighted neighborhoods, lowers property values, deters customers and repeat business, and can be expensive and frustrating to have to clean up the same walls over and over again. Unfortunately, painting out the problem often just invites more taggers, particularly if the clean-up does not include colors that match. 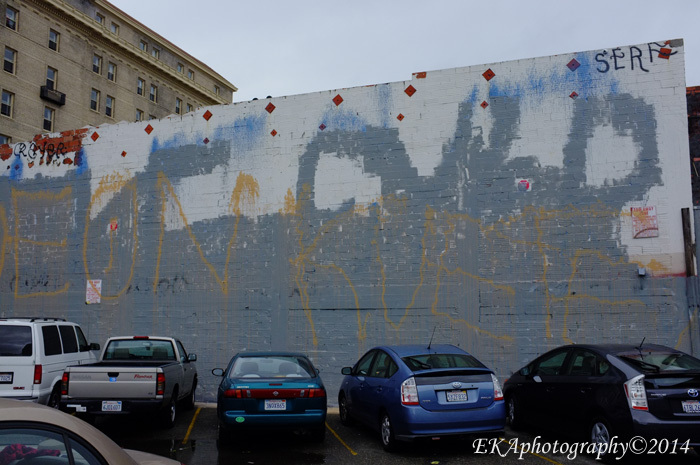 Adding to the problem is the fact that city graffiti removal crews will only repaint public property, and businesses which are frequently tagged by vandals can face fines in some cases if they don’t paint over the unsightly tags quick enough. 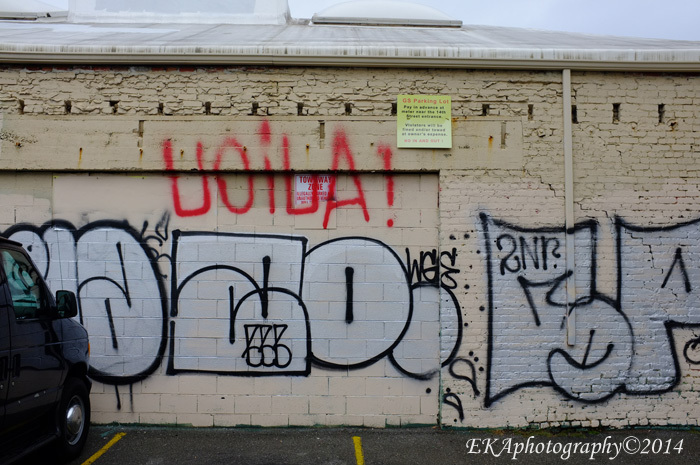 This never-ending cycle of vandalism and ineffective abatement can become a gateway for further criminal activity, and is particularly detrimental to small business owners who may not have the resources to abate graffiti tags expediently. Does the wall of your business look like this? On the other hand, a commissioned mural attracts interest to your company or shop. Your location becomes more noticeable and identifiable, and can even become a local landmark. Murals contribute positively to the quality of life in both residential and commercial districts, and can be designed to advertise products and services offered by businesses, celebrate neighborhood identity, promote civic pride, or immortalize family members or historical icons. 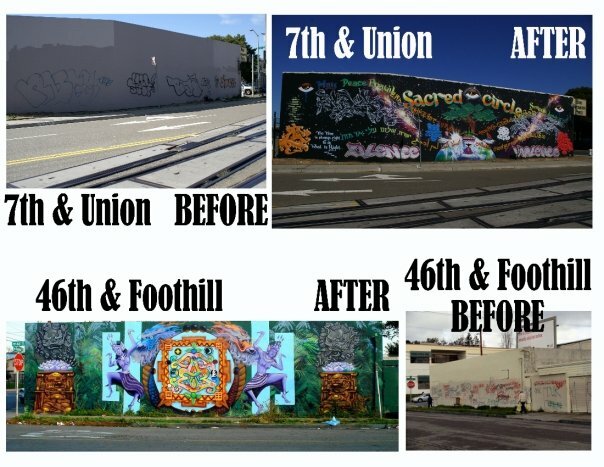 And murals present a far more effective deterrent to repeat vandalism and tag recidivism over the long run, besides being more cost-efficient, compared to continual repainting. In short, they can turn a depressing, run-down storefront into a symbol of neighborhood vibrancy – while lowering costs significantly. Abatement done wrong simply attracts more vandalism. Check out CRP’s Price Comparison Rate Sheet. The Community Rejuvenation Project, who specializes in community-based alternatives to blight, offers two great solutions for your business. Commercial Murals: CRP artists will work with you to create artwork that reflects the values of your company and attracts new clientele. We have a diverse set of styles that you can choose from, ranging from abstract to photo-realistic. CRP will work with you to ensure that the design and the outcome meet your needs, at reasonable rates: Commercial murals start at $15 / sq. ft. (with additional costs for the design process). Abatement Murals: The most affordable solution for business owners who are simply tired ofhaving their buildings repeatedly vandalized but are working with a smaller budget. Starting at just $5 / sq. ft., CRP will paint a beautiful mural on your building, with a tasteful design chosen by CRP which draws from our vast experience working with community organizations, municipal art departments, business associations, schools, and individual business owners. 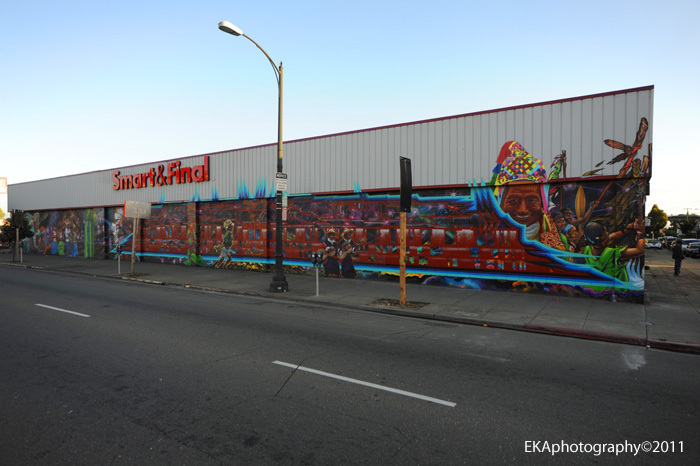 CRP’s ‘Peace and Dignity’ mural on a Smart & Final building on International Blvd in the tagging-plagued Fruitvale district has remained untouched for three years. Diego’s Power Alley Gym promotes a healthy mind, body, and spirit. With either option, the endless cycle of continually painting out vandalism will be nipped in the bud, allowing you to concentrate on building your business. And for particularly high-blight locations, CRP also offers Mural Insurance; for a one-time fee (depending on the size of the mural), CRP will maintain your mural for up to two years, offering additional peace of mind in the event that a mural is defaced or vandalized. To commission a mural for your business, fill out our mural request form (below) and a CRP representative will get back to you with a rate quote ASAP! Inquire about group/multiple wall discount packages!